By using our ELIZABETH MADISON NUTRITION, PLLC (“we”, “us”, “EMN”) Website (“Website”), you agree to these Terms and Conditions of Use (“Terms & Conditions”). We reserve the right, in our sole discretion, to change, modify, add or remove portions of these Terms & Conditions at any time. You should check these Terms & Conditions periodically for changes. By using this Website after we post any changes to these Terms & Conditions, you agree to accept those changes, whether or not you have reviewed them. If you do not agree to these Terms & Conditions, you should not use our Website and, if applicable, you should arrange to cancel your membership account. Unless we indicate otherwise, these Terms & Conditions apply to your use of the Website which is owned and operated by ELIZABETH MADISON NUTRITION, PLLC. By using this Website, you agree to be legally bound and to abide by these Terms & Conditions, just as if you had signed this agreement. If you do not comply with these Terms & Conditions at any time, we reserve the right, if applicable, to terminate your password, user account, and/or access to this Website (or any part thereof). In our sole discretion and without prior notice or liability, we may discontinue, modify or alter any aspect of the Website, including, but not limited to, restricting the time the Website is available, restricting the amount of use permitted, and restricting or terminating any user’s right to use the Website. You agree that any termination or cancellation of your access to, or use of, the Website may be effected without prior notice. If you do not abide by the provisions of these Terms & Conditions, except as we may otherwise provide from time to time, you agree that we may immediately deactivate or delete your membership account and all related information and files in your membership account and/or bar any further access to such information and/or files, or our Website. Further, you agree that we shall not be liable to you or any third-party for any termination or cancellation of your access to, or use of, our Website. From time to time, we may supplement these Terms & Conditions with additional terms and conditions pertaining to specific content, activities or events (“Additional Terms”). Such Additional Terms may be placed on the Website to be viewed in connection with the specific content, activities, features or events and shall be identified as such You understand and agree that such Additional Terms are hereby incorporated by reference into these Terms & Conditions. Unless otherwise specified, we grant you a non-exclusive, non-transferable, limited right to access, use and display this Website and the material provided hereon for your personal, noncommercial use, provided that you comply fully with the provisions of these Terms & Conditions. You acknowledge that this Website contains information, software, photos, video, text, graphics, music, sounds, questions, creative suggestions, messages, comments, feedback, ideas, recipes, articles and other materials (collectively, “Content”) that are protected by copyrights, patents, trademarks, trade secrets and/or other proprietary rights, and that these rights are valid and protected in all forms, media and technologies existing now or hereafter developed. All Content is copyrighted under the United States copyright laws and we own a copyright in the selection, coordination, arrangement and enhancement of such Content. You may not modify, publish, transmit, distribute, perform, participate in the transfer or sale, create derivative works of, or in any way exploit, any of the Content, in whole or in part. When Content is downloaded to your computer, you do not obtain any ownership interest in such Content. Modification of the Content or use of the Content for any other purpose, including, but not limited to, use of any Content in printed form or on any other website or networked computer environment is strictly prohibited unless you receive our prior written consent. 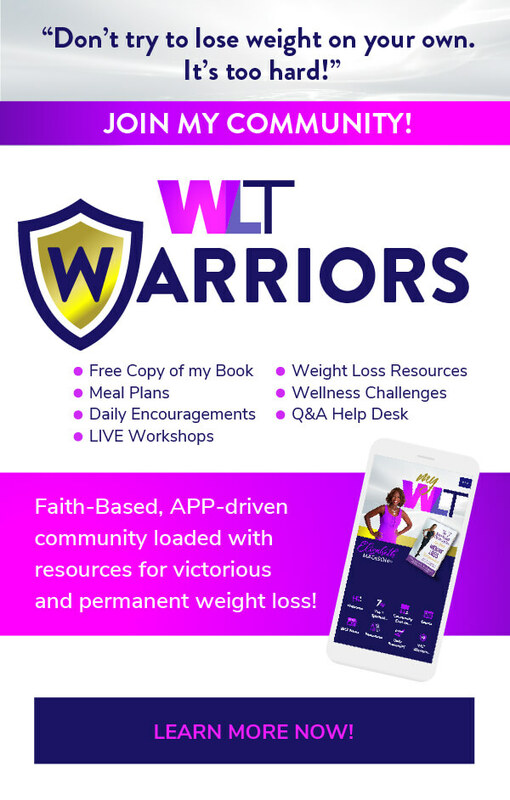 This Website provides weight loss and health management content published over the Internet and is intended only to provide support to members and general access users in their personal weight loss and health management efforts. The information provided is solely for educational purposes only. The Weight Loss Transformation Membership Program in all its forms is not a medical program, and our staff cannot and will not provide medical advice or diagnosis. Nothing contained in this Website should be construed as such advice or diagnosis. The information and reports generated by us should not be interpreted as a substitute for physician consultation, evaluation, or treatment. It is strongly recommended that you seek the advice of a physician before beginning any weight loss or health management program. This Website is intended for use only by healthy adult individuals. The Website is not intended for use by minors (defined as age 17 or under), or individuals with any type of health condition. Such individuals are specifically warned to seek professional medical advice prior to initiating any form of weight loss effort or regimen. ELIZABETH MADISON NUTRITION, PLLC, do not make any guarantees regarding personal outcomes, e.g. weight loss, spiritual growth. No staff at ELIZABETH MADISON NUTRITION, PLLC will guarantee or promise any specific outcomes. If, at our request or on your own, you send, email, or otherwise transmit to us or this Website any Content, e.g. testimonials, before and after photos, recipes, (collectively, the “Submissions”), you grant and assign to us a royalty-free, perpetual, irrevocable, non-exclusive right and license (as well as consent) to use, license, reproduce, modify, adapt, publish, translate, create derivative works from, distribute, derive revenue or other remuneration from, communicate to the public, perform and display any Submissions (in whole or in part and with or without the use of your name) worldwide and/or to incorporate the Submissions in other works in any form, media, or technology now known or later developed for the duration of the existence of the ELIZABETH MADISON NUTRITION, PLLC and/or associated programs, in any form. You further acknowledge that we shall be entitled to unrestricted use of the Submissions for any purpose whatsoever, commercial or otherwise, without compensation to the provider of the Submissions. These Terms & Conditions apply only to this Website, and not to the websites of any other person or entity. We may provide links to other worldwide websites or resources. You acknowledge and agree that we are not responsible for the availability of such external sites or resources, and do not endorse (and are not responsible or liable for) any content, advertising, products, or other materials on or available from such websites or resources. You further acknowledge and agree that, under no circumstances, will we be held responsible or liable, directly or indirectly, for any loss or damage that is caused or alleged to have been caused to you in connection with your use of, or reliance on, any content, advertisements, products or other resources available on any other website (regardless of whether we directly or indirectly link to such content, advertisements, products or other resources). You should direct any concerns with respect to any other website to that website’s administrator or webmaster. Elizabeth Madison Nutrition, PLLC and its affiliates, their respective officers, directors, employees, agents, suppliers, or licensors (collectively, the “EMN parties”) do not warrant that any information, content or material on the website is accurate, complete, reliable, current or error-free. The content or material on the website may include technical inaccuracies or typographical errors. The EMN parties may make changes or improvements at any time. The website is provided “as is” and “as available” and without warranties of any kind either express or implied, including but not limited to, title, non-infringement, implied warranties arising from course of dealing or course of performance or any other warranties under article 2 of the uniform commercial code and, to the fullest extent permissible pursuant to applicable law, the EMN parties disclaim all warranties of merchantability and fitness for a particular purpose. The EMN parties do not make any representations or warranties regarding the use of, or the results of the use of, the website, whether in terms of correctness, completeness, accuracy, reliability, or otherwise. No advice or information, whether oral or written, obtained by you from the website shall create any warranty not expressly made herein. The EMN parties do not warrant that the functions contained in the website will be uninterrupted or error-free, that defects will be corrected, or that the website will be free of viruses or other harmful components. You understand and agree that any content downloaded or otherwise obtained through the use of the website is done at your own discretion and risk and that you will be solely responsible for any damages to your computer system or loss of data that results from the downloading of such content. You (and not the EMN parties) assume the entire cost of all necessary servicing, repair or correction. Elizabeth Madison Nutrition, PLLC makes no warranties of any kind regarding any non-Elizabeth Madison Nutrition, PLLC websites to which you may be directed or hyperlinked from this website. Hyperlinks are included solely for your convenience, and Elizabeth Madison Nutrition, PLLC makes no representations or warranties with regard to the accuracy, availability, suitability or safety of information provided in such non-Elizabeth Madison Nutrition, PLLC sites. Elizabeth Madison Nutrition, PLLC does not endorse, warrant or guarantee any products or services offered or provided by or on behalf of third parties on the site. You expressly understand and agree that we shall not be liable for any direct, indirect, incidental, special, consequential, exemplary or punitive damages, or any other damages whatsoever, including but not limited to, damages for loss of profits, goodwill, use, data or other intangible losses (even if we have been advised of the possibility of such damages), arising out of, or resulting from, (a) the use or the inability to use this website; (b) the use of any content or other material on this website or any website or websites linked to this website, (c) the cost of procurement of substitute goods and services resulting from any goods, data, information or services purchased or obtained or messages received or transactions entered into through or from this website; (d) unauthorized access to or alteration of your transmissions or data; (e) statements or conduct of any third party on our website; or (f) any other matter relating to our website. In no event shall our total liability to you for all damages, losses, and causes of action (whether in contract, tort (including, but not limited to, negligence), or otherwise) exceed the amount paid by you, if any, for accessing our website. If you are dissatisfied with any portion of our website, or with any of these terms & conditions, your sole and exclusive remedy is the discontinuation of your use of this website. If any portion of this limitation of liability is found to be invalid, liability is limited to the fullest extent permitted by law. All contents of the ELIZABETH MADISON NUTRITION, PLLC Website are: Copyright 2017 ELIZABETH MADISON NUTRITION, PLLC. All rights reserved. Trademarks – the names of actual companies and products mentioned on the Website may be the trademarks of their respective owners. We respect the intellectual property of others, and we ask our users to do the same. We may, in appropriate circumstances and in our discretion, terminate the rights of any user to use our Website (or any part thereof) who infringes the intellectual property rights of others. You agree to indemnify, hold harmless and, at our option, defend ELIZABETH MADISON NUTRITION, PLLC and its officers, directors, employees and agents, from any and all third party claims, liability, damages and/or costs (including, but not limited to, reasonable attorneys fees and expenses) arising from your use of this Website or our offerings, your violation of these Terms & Conditions, or your infringement, or the infringement or use by any other user of your account, of any intellectual property or other right of any person or entity. ELIZABETH MADISON NUTRITION, PLLC reserves the right, at its own cost and expense, to assume the exclusive defense and control of any matter otherwise subject to indemnification by you and you shall not in any event settle any matter without the written consent of ELIZABETH MADISON NUTRITION, PLLC. You shall cooperate as fully as reasonably required in the defense of any claim. You agree that our remedy at law for any actual or threatened breach of the Terms & Conditions would be inadequate and that we shall be entitled to specific performance or injunctive relief, or both, in addition to any damages that we may be legally entitled to recover, together with reasonable expenses of any form of dispute resolution, including, without limitation, attorneys’ fees. Any claim or cause of action you may have with respect to ELIZABETH MADISON NUTRITION, PLLC or this Website must be commenced within one (1) year after the claim or cause of action arose or be forever banned. To the fullest extent permitted by applicable law, we agree that any dispute resolution proceedings will be conducted only on an individual basis and not in a class, consolidated or representative action. – You may not assign the Terms & Conditions or any of your rights or obligations under the Terms & Conditions without ELIZABETH MADISON NUTRITION, PLLC express written consent. The Terms & Conditions inure to the benefit of ELIZABETH MADISON NUTRITION, PLLC’s successors, assigns and licensees. The section titles in these Terms & Conditions are for convenience only and have no legal or contractual effect. If any provision of these terms shall be unlawful, void, or for any reason unenforceable, then that provision shall be deemed severable from these terms and shall not affect the validity and enforceability of any remaining provisions. These Terms & Conditions, together with the membership agreement (if applicable), are the entire agreement between you and us relating to the subject matter herein. These Terms & Conditions may be modified only by our posting of changes to these Terms & Conditions on this Website, or by written agreement of both parties. Each time you access this Website, you will be deemed to have accepted any such changes. We may assign our rights and obligations under these Terms & Conditions. The failure of either party to insist upon or enforce the strict performance of the other party with respect to any provision of these Terms & Conditions, or to exercise any right under the Terms & Conditions, will not be construed as a waiver or relinquishment to any extent of such party’s right to assert or rely upon any such provision or right in that or any other instance; rather, the same will be and remain in full force and effect.